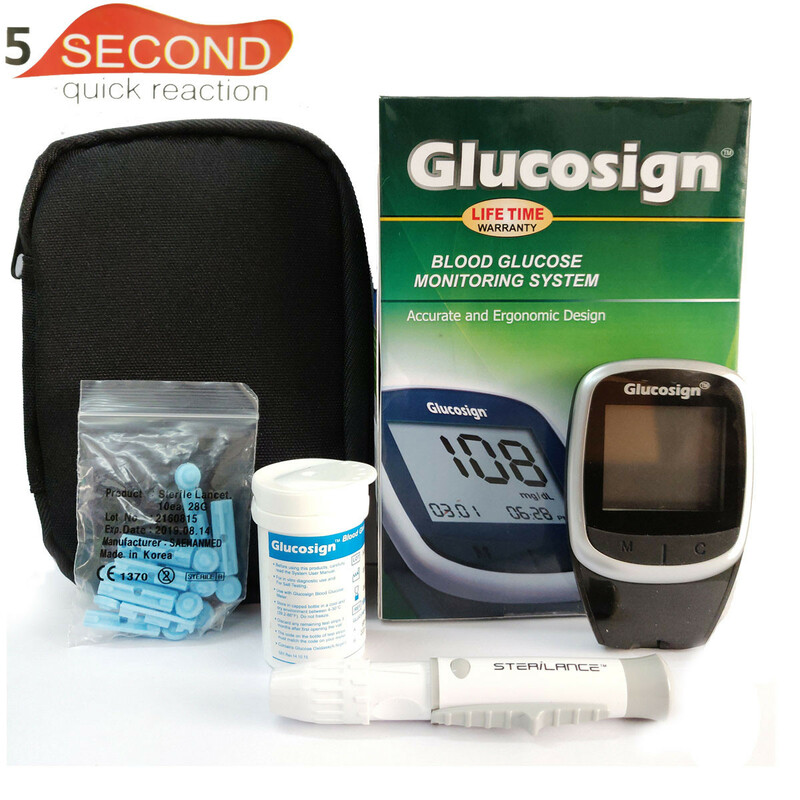 This Glucosign blood monitering system is gives you best result and keeps you safe. 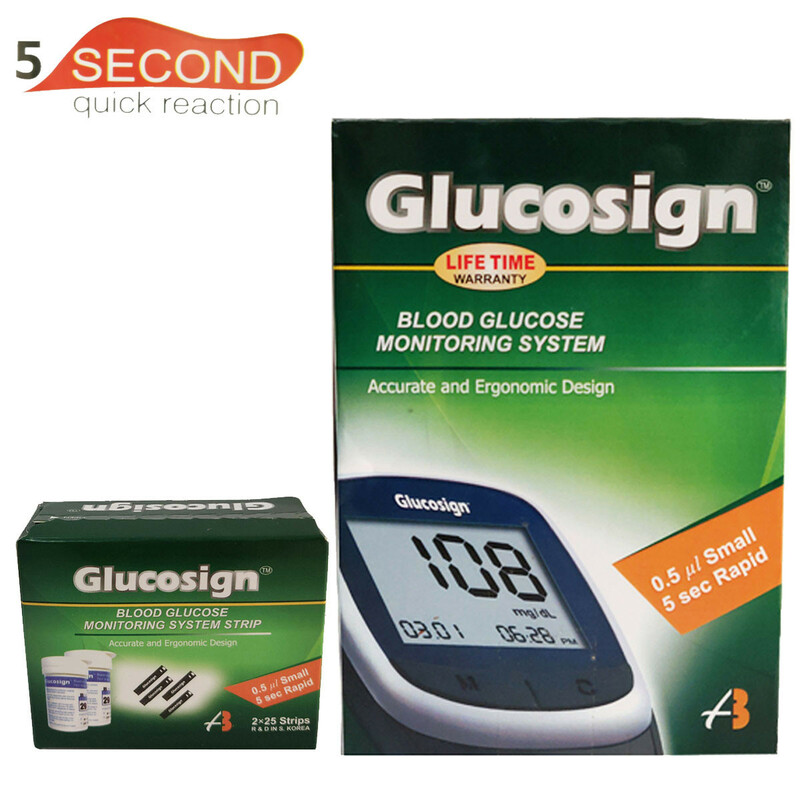 The Glucosign blood monitering system & strip combo IS helps to lower the testing barriers by supporting the ease-of-use with its components .How to use- insert the three black line at the end of the test strip into the meter strip slot until meter beeps. Make sure the mete code matches the code on the test strip vial. If it does not, then set it to the correct code by using the M, C, buttons. 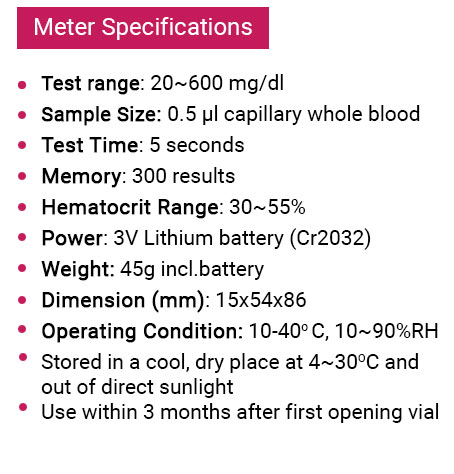 When the flashing blood symbol appears , 3 second later after adjusting code , the meter is ready for you to apply blood to the blood glucose test strip. Use your lancing device to obtain a blood drop. Touch the blood drop to the sample channel at the end of the strip. The blood is drawn into the strip automatically. Continue to touch the blood drop to the end of the test strip until you hear the beeper. After beeper sound, your blood test result will appear in 5 seconds.